As far as quality brunches go, you’ll be hard pressed to find a bad review about Barry Northcote. 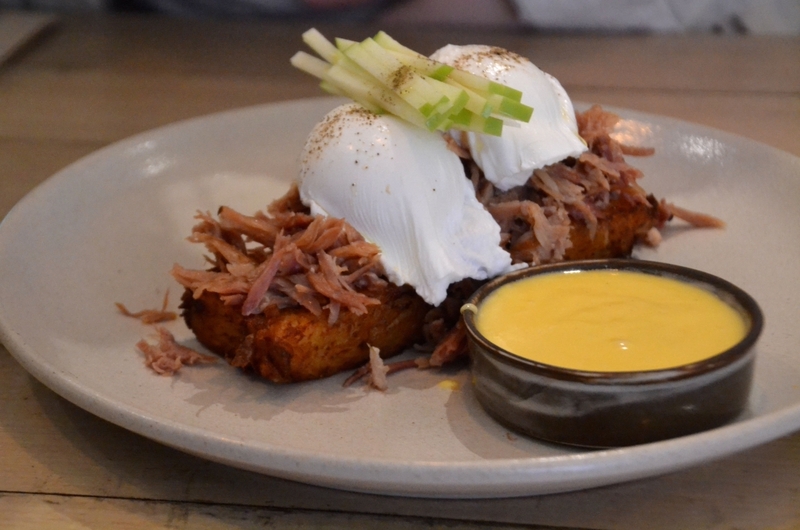 Since opening on Northcote’s bustling High Street, Barry has quickly become a brunch favourite for fellow Melburnians. There’s something about Barry which keeps you wanting to come back for more. It could be their excellent all day breakfast options, their energetic atmosphere or their superb coffee – or a mix of all three – all I know is Barry have the formula down pat. As far as looks go, Barry is ridiculously handsome. The bright and airy interior design has been brilliantly executed by Techne Architects. Barry maintains a contemporary warehouse feel with its mottled concrete floors, exposed brick walls and unusual filament globe structures. Yes – it is hipster and one of the cool kids of the Melbourne brunch scene. But Barry does not compromise on quality and service. A long counter takes centre stage at Barry, where baristas hurriedly churn out perfectly brewed coffees to caffeine hungry diners. The bar is stocked with freshly baked goodies to tantalise the fussiest of taste buds and a nice range of takeaway options is also available. Contemporary custom shelving flank the walls and are filled with pot plants to give it a more homely feel. Whether you’re looking for a boozy brunch with a large group of mates, or a quiet coffee for one, Barry offers a convenient nook and cranny for everyone. You can choose to sit at one of their blonde timber tables indoors or alfresco. In the morning, sunshine streams through the floor to ceiling windows which gives the space a cool airy feel. .
Barry offers an all day breakfast menu and lunch options from 11.30am which cater particularly for the health conscious diner. The constantly changing seasonal menu has a great mix of old school favourites and contemporary mash-ups. The staff swear by the crunchy peanut butter, heirloom tomatoes and salt and pepper peanuts on toast. Sound strange? Well you have to try it for yourself. 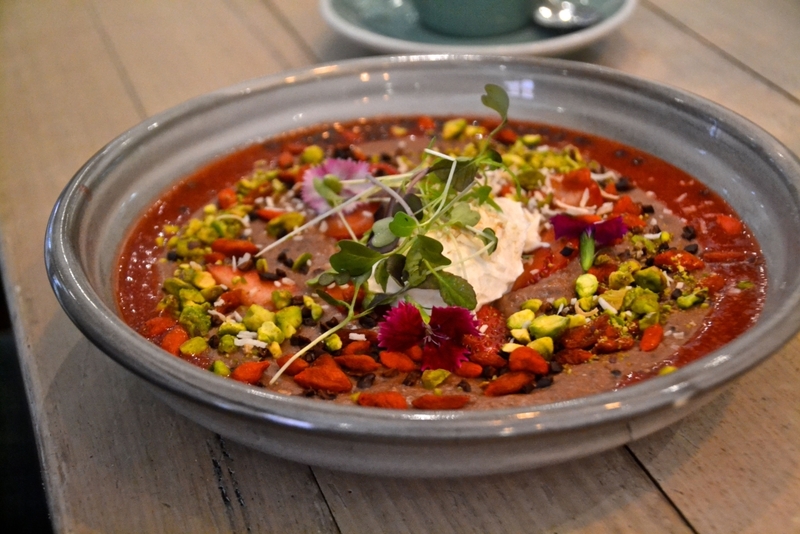 Health conscious brunch goers, will love their range of superfood charged dishes. Theres a warming six grain porridge on the menu with orange, carrot, cinnamon and pistachio and a chilled coconut chia pudding teamed with banana, caramelised buckinis, sour cherries and co yo. Rest assured carnivores – there’s also plenty of meat infused options available from crispy bacon to chorizo. At Barry Northcote, coffee is an art which needs to be respected in its purest form. Coffee is by 5 Senses made on their fancy custom-made Synesso or on pour over on Aeropress. A blackboard above the front counter promotes the current single batch brews. Trying to start the weekend healthy, I couldn’t go past ordering the five grain cacao porridge ($15) which was pretty as a picture. Served piping hot, the porridge is the perfect winter dish and managed to warm me up from the inside out on a chilly Melbourne morning. A generous sprinkling of strawberries and goji berries brought a lovely natural sweetness to the dish which was just enough to cut through the cacao. The pistachios were a surprising textural contrast to the dollop of coconut labne which quickly oozed into the warm grain mixture. Who knew a superfood charged porridge could taste so good. The inner sweet tooth in me couldn’t help noticing the ricotta hotcake ($18) on the menu, which is cooked to order in approximately 20 minutes. This is a hotcake of epic proportions – just look at the sheer size! I am a huge fan of ricotta in hotcakes since it makes the mixture super light and moist. 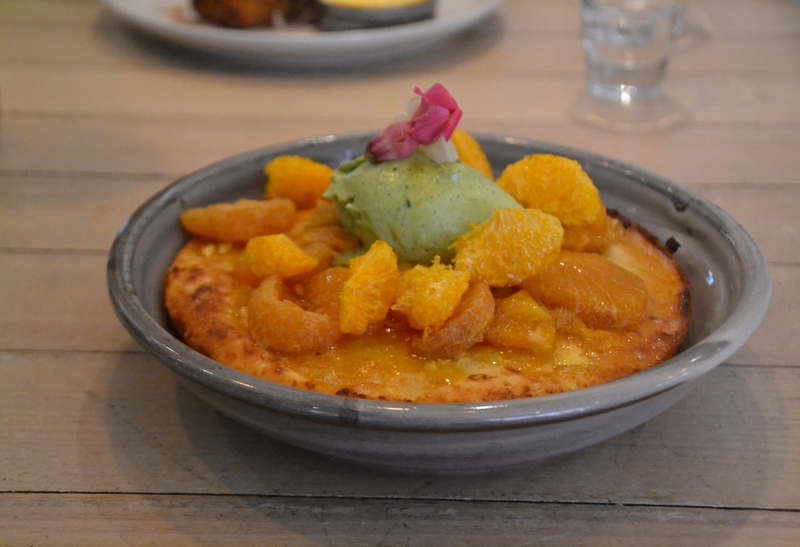 The hotcake is topped with citrus fruits and a generous dollop of mint creme which provides an unusual yet pleasant flavour combination to the dish. Unless you’re feeling exceptionally hungry, I’d recommend sharing this dish since it is quite a challenge to eat all of it. The ultimate showstopper however was Barry’s version of eggs benedict ($19). Two perfectly poached eggs rested on a bed of slow braised ham hock and crispy potato hash. Thinly sliced granny’s apples and an apple cider hollandaise brought the elements of the dish together perfectly, providing a freshness to the rich ham hock. I may have strayed a little from my initial health intentions but the eggs benedict was certainly worth it. Barry is a familiar neighbourhood friend I will keep for many years to come. It’s great isn’t it. I love how the menu constantly changes and there’s always some great specials to try. Lucky you it being so close to home. 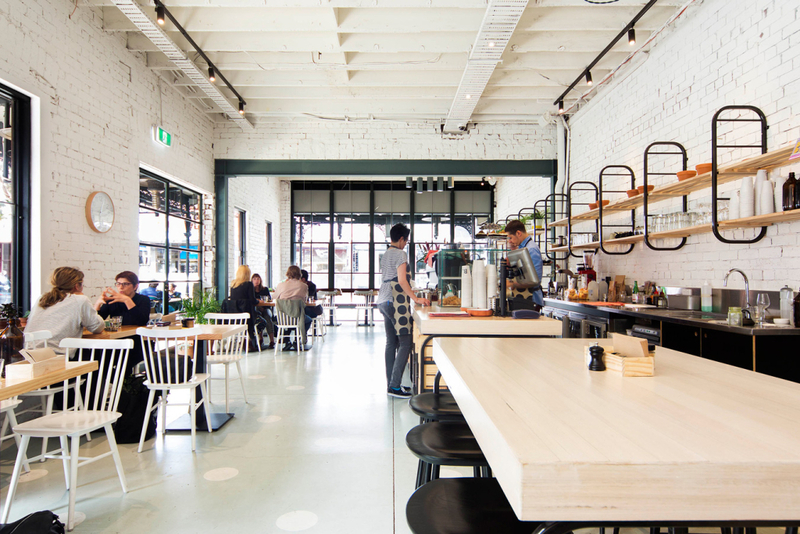 Have you tried Mixed Business in Clifton Hill yet? No I haven’t, but thank you for the suggestion! Always good to have new places to try out! I know, we certainly won’t be bored in Melbourne!